We all love a secret. When someone says, 'Can you keep a secret?' We’re all ears and can’t wait to hear what they will disclose that nobody else knows. Secrets are exciting to hear and to tell. After all, what good is learning a secret if you can’t say it to someone? If you’re reading this to learn the secrets to a happy marriage, you probably already know them and hopefully practice them daily. However, if your marriage is suffering and you’re wondering if it can be fixed, the answer is yes. But, it’s no secret it will take hard work, commitment, and dedication. Our culture teaches us that we’re missing something if we’re not married and raising a family. We want to find that special someone who will fulfill our life with happiness and love. Even the minister who married you cannot say for certain you will have a happy marriage. It takes hard work, commitment, and dedication. It bears repeating, and it should often be repeated by both parties involved. You can’t build a happy marriage alone; you must work together. You know you love your spouse but do you also like and respect them? No one is perfect, and you must learn to love their faults as well as their virtues. Empathize and put yourself in their shoes. Many times there is no wrong or right, just a disagreement. You’re not enemies but on the same team and nowhere does teamwork perform better than marriage. Don’t walk off without coming to an agreement. Again, there may be two rights and no wrongs. At times you must accept the bad, laugh about it and forget it. Your spouse should do the same for you. A forgetful spouse is perhaps a real secret to a happy marriage. A spouse who holds a grudge and remembers every little mistake or hurt could eventually lead to its downfall. Forget wrong doings and their faults, love them and forgive. No one said marriage is easy, but it’s worth all the pain and hurt it may bring. Show your support and show genuine interest in what your spouse is trying to say or do. Don’t minimize their concerns and opinions. Be courteous and polite. You’d do the same thing for a friend, and your spouse is your friend and more. 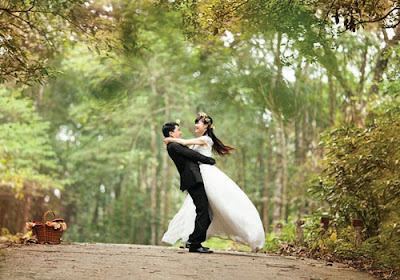 Share responsibilities, share your feelings, give your love, and you will have learned the secrets to a happy marriage. 0 Response to "5 Secrets of a happy marriage"